Give your child a GREAT start! 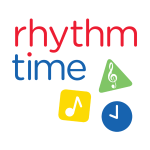 FUN, EDUCATIONAL & AWARD-WINNING music classes near you for babies, toddlers & pre-schoolers. Your little one’s confidence, creativity and co-ordination will flourish with our fun, quality music sessions. This is a crucial time in your Little One's early development, so it's the perfect opportunity to enjoy the benefits of our multi-sensory music classes, specially created to nurture and enhance EVERY child’s development. Classes cost £5 each week.